Volunteers give 15,000 hours each year to support education, outreach and stewardship programs. 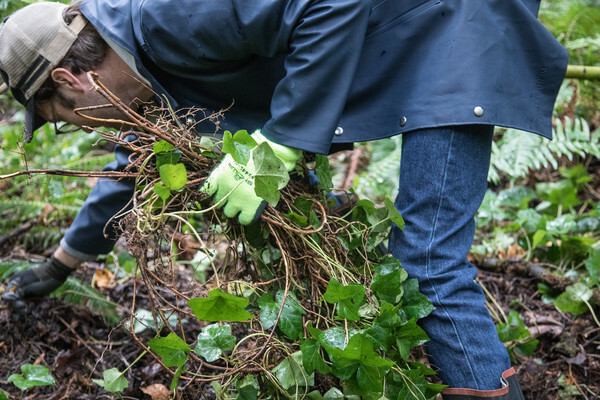 Whether guiding hikes, pulling ivy, greeting visitors, building forts, or leading school field trips, our volunteer community makes Tryon Creek a unique urban forest. Friends of Tryon Creek recognizes the diversity of races, cultures, backgrounds, and experiences of our whole community must be represented in our volunteer base in order to welcome and inspire all visitors, so we strongly encourage people of color as well as folks who are LBGTQ, multilingual, first-generation, or from other traditionally marginalized communities to join us in our efforts to reclaim, reconnect, and build authentic relationships with nature. Thank you for your interest in volunteering at Tryon Creek! After your inquiry form is received, our Volunteer Coordinator will follow up with an email to schedule a short phone interview to talk more about our current needs and your interests. Story and Stroll: Read a story, make a craft and lead a walk with pre-school aged kids. 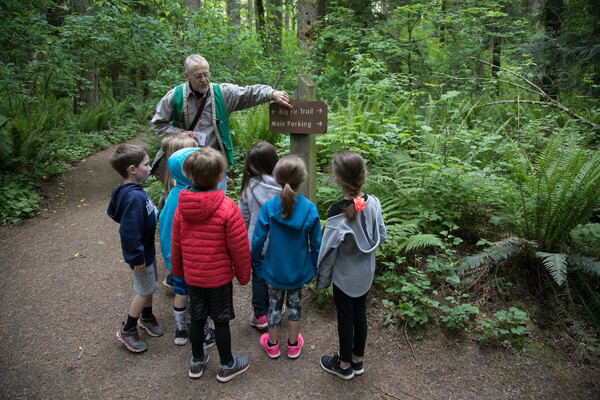 Nature Guide: Lead field trips through the forest for grades K-6. Interpretive Stations: Bring education to park visitors through science stations. Discovery Days Assistant: Support open classroom days by engaging visitors in various science themed activities. 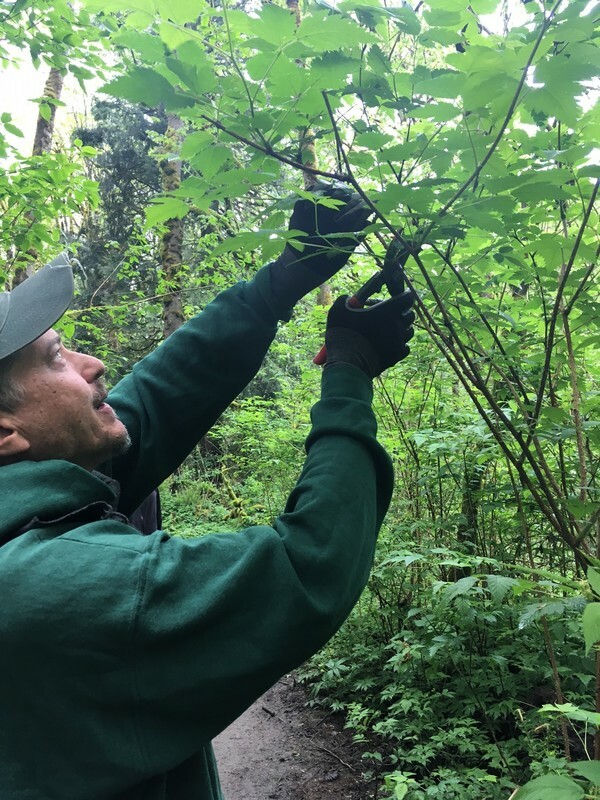 Eco Crew: Join us 1st and 2nd Saturdays from September - June as we remove invasive plants and improve trails. Sign up online here. If you are under the age of 18, fill out youth waiver here. Eco Crew Groups: Have a group of coworkers or students interested in giving back to Tryon? Schedule a group Eco Crew day by filling out the volunteer interest form above. Nature Center Volunteer: Welcome visitors, answer questions about the park and oversee the Nature Store. Tryon Ambassador: Share our mission, programs and nature lessons out on the trail. Special Events: Work behind the scenes to support planning, set-up, and logistics for events. Teen Science Educator: Educate and connect visitors through a science station set outside on the trails. 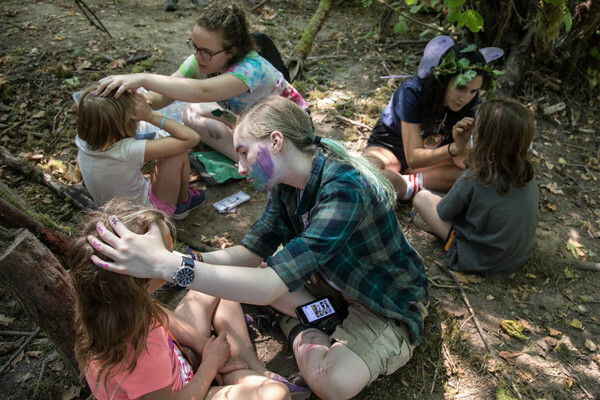 Counselor: Support the Summer Nature Day Camp staff as they lead hikes, craft projects, songs and storytelling. Scroll down on the Camp page for application instructions.